Last Thursday, dozens of artists and members of Canada’s music community gathered at Toronto’s Phoenix Concert Theatre for the annual Spirit of John concert benefiting The Alzheimer Society Music Project, which helps those suffering from dementia rediscover pleasure in the world through the power of music. The concert series began in 2015 when Spirit of the West singer and main song co-writer John Mann was diagnosed with Early Onset Alzheimer’s. The incredible evening of music featured a set of fan-favourites from Spirit of the West, and a second set of covers of some of John’s favourite songs, with artists like Serena Ryder, Jim Cuddy, Jessica Mitchell, Royal Wood, and many more exchanging vocal duties. 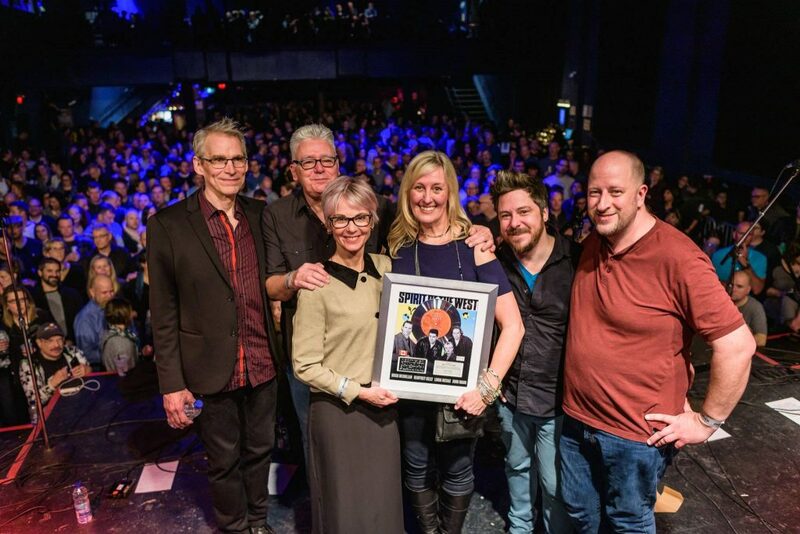 During the intermission and live auction led by the Alzheimer Society of Toronto, the band surprised fans with the news of their classic hit “Home For A Rest,” performed earlier in the evening with Damhnait Doyle, had now officially reached Platinum status in Canada. 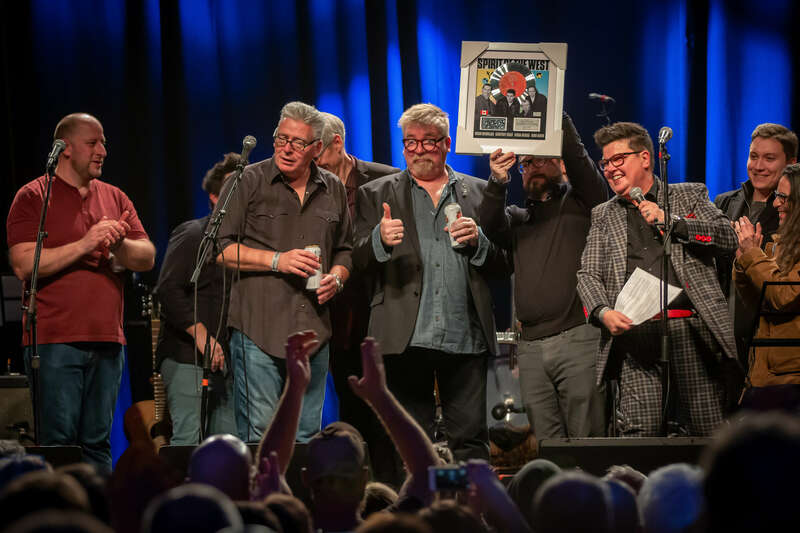 Members of True North Records’ team then brought an official custom Platinum plaque on stage, which the band members autographed and auctioned off. “Home For A Rest” is the band’s first official Single Award certification. The classic barroom favourite is featured on the band’s 1990 album Save This House, which was certified Platinum nearly 23 years earlier in 1996. On Friday morning, The Alzheimer Society of Toronto announced that this year’s event raised over $100,000 to benefit the Alzheimer Society Music Project, which will help provide personalized music players to people living with dementia. For those who were unable to attend the Spirit of John concert, donations can still be made to help offer support, information and education to people with dementia, their families and caregivers.